It All Started on a Dusty Road. 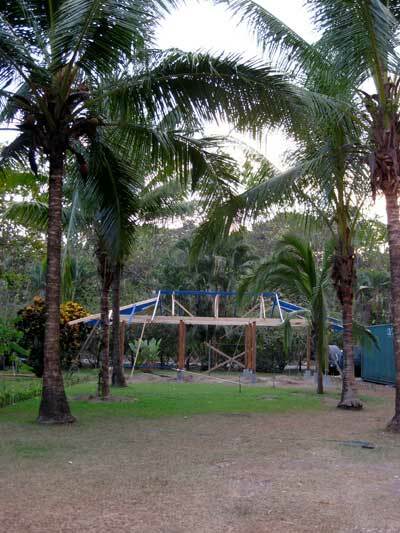 It was 2007, and we were hosting our third retreat in Costa Rica as yoga teachers. The drive to the final destination was a long one. And you know what they say about long drives –– they make you think. 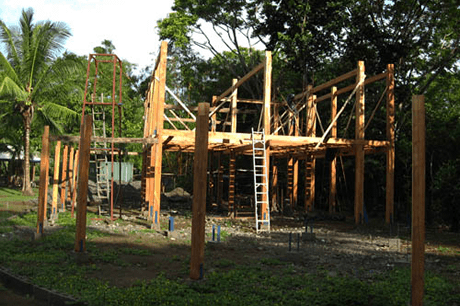 For two years we dreamed of creating a special kind of retreat center. A place where people could relax (former New Yorker here). A place where people could savor stillness. A place where people could safely answer the question, “Who am I?” It’s the question that led me to journey around the world. To see different people. To see different cultures. And to confirm what we knew all along –– that we’re all the same. Everybody wants to be loved, and everybody wants to be part of something bigger than themselves. The secret? We already are. As internationally renowned yoga teachers, we had seen it time and time again: Practicing yoga changes lives. It creates a space so that the answers to our greatest questions can arise naturally, without effort. Put simply, yoga is a catalyst for peace. So, when my driving companion (my then student, now Blue Osa’s co-owner) and Adam spotted a beat-up Century 21 sign, we intuitively pulled over. As we exited the car, three dogs and one angry French woman immediately began to bark at us. “No, go away!” she said. And so we did. But something told us not to give up so easily. We found a realtor. Toured the property. And… It was a MAJESTIC MESS! Well-meaning friends and family said don’t do it. The costs needed to get the place into gear seemed astronomical and all too risky, considering we were against the idea of partnering with investors from the get-go. But it just felt right. And like we always tell our students, “The bigger your faith, the bigger your life.” So, we went all in. Invested every last cent. Observing a daily period of silence until 7:30 am. Presenting and giving thanks for healthy, farm-to-table meals. 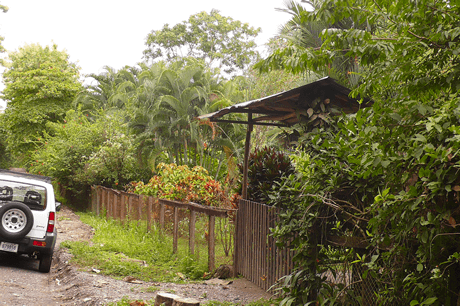 Ample enclaves on the property for reflection, relaxation and reading. 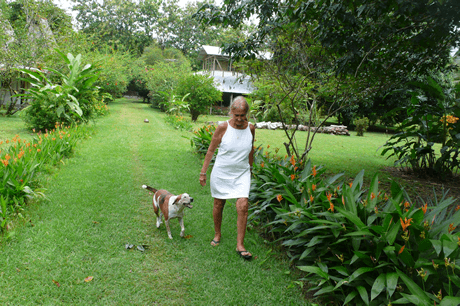 Many of our guests grow to appreciate the rhythm of life here so much that they feel inspired to bring aspects of it into their daily lives at home. This is my life’s work, and I love it! Oh, and that “crazy” french woman? Her name is Marie, and she is now “the mother” and head chef of Blue Osa. And the dogs? They’re still here, and we get along just fine now. 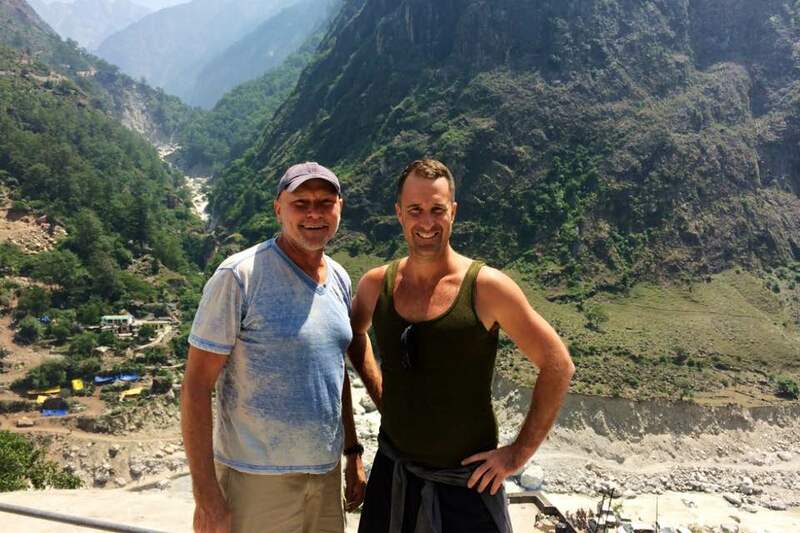 When Adam and Aaron are not at Blue Osa, we take amazing journeys around the world to far-flung places such as the Himalayas. 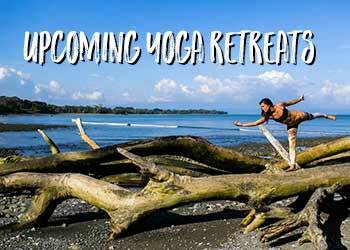 We not only look for ways to deepen our yoga practice, but for ways to enhance the Blue Osa experience. 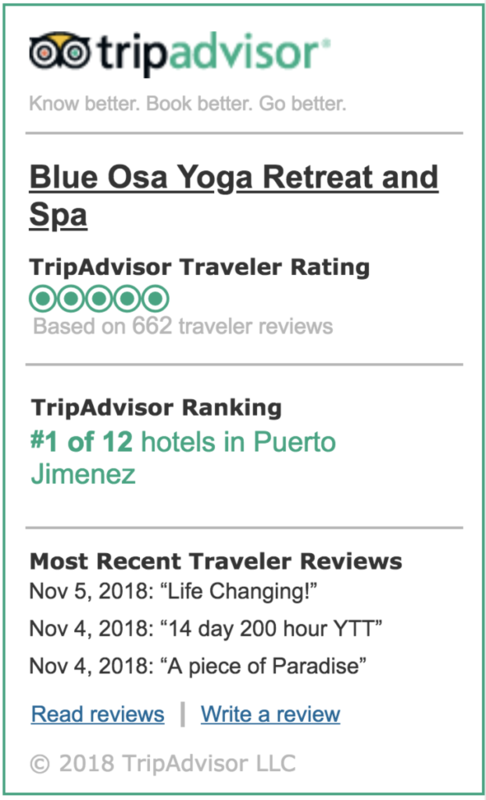 If you think Blue Osa is exactly what you’ve been searching for, we’d love to have you visit! Look under the ‘Visit Blue Osa’ section in the navigation bar for more information on Personal + Group Package options OR click the link below to check availability. Have you seen our stories yet?